Like I mentioned Monday, the new cookie cookbook I just got has a bunch of indexes, including one that lets you pick recipes by batch size. Because we’ve already got a pile of desserts sitting around my mom’s house, I went for a tiny batch recipe that just makes three (fairly huge) cookies. Preheat oven to 375 degrees and place a rack on the center shelf. 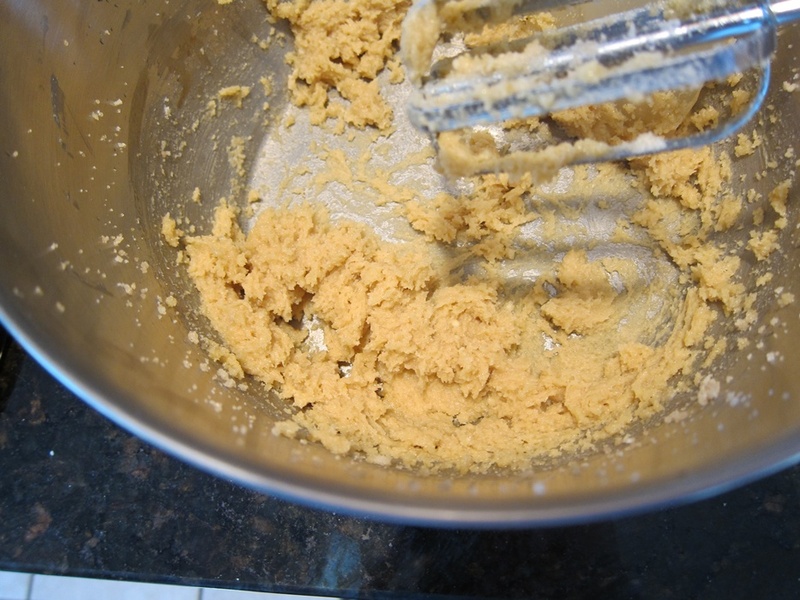 Mix the flour, baking soda, baking powder, and salt together in a small bowl and set aside. Add the yolk, water, and vanilla and beat on low until combined. 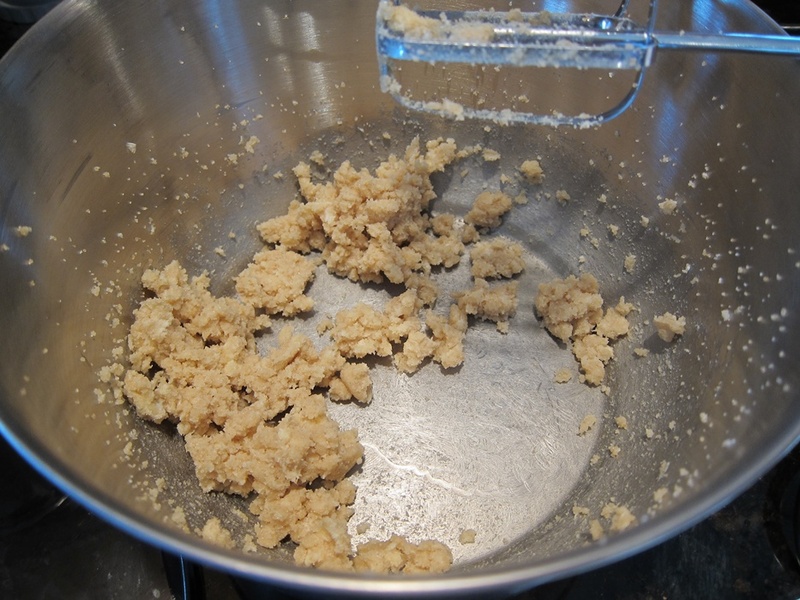 Using a spoon or spatula, stir in the dry mixture until just combined. It may seem like it’s too dry to come together, but keep stirring and eventually it will. Stir in the chocolate chips and divide into three portions. Shape into balls and flatten slightly, to more like pucks, on an ungreased baking sheet. Bake for 8 minutes at 375 degrees, then lower the heat to 325 and bake another 5 to 8 minutes, until cookies appear set. 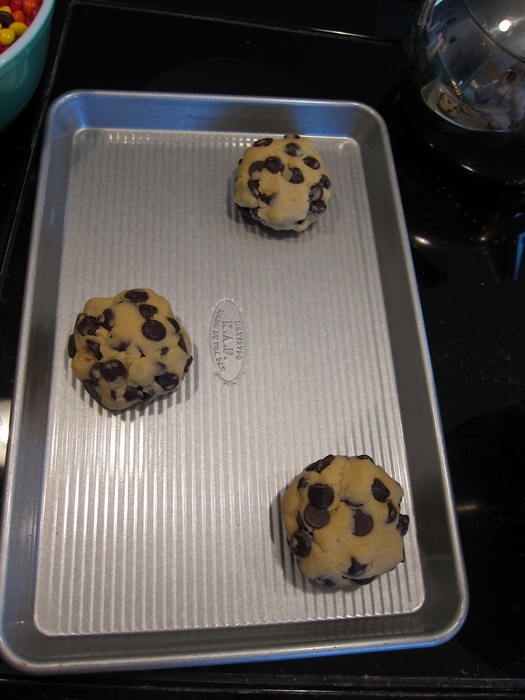 Let cool on the baking sheet 5 minutes, then use a spatula to transfer them to a wire rack to cool completely. These were chock full of chocolate, and big enough that one was a solid dessert. Even better, perhaps, served still warm with some vanilla ice cream? Cream the butter and both sugars. Add the yolk, water, and vanilla and beat on low until combined. 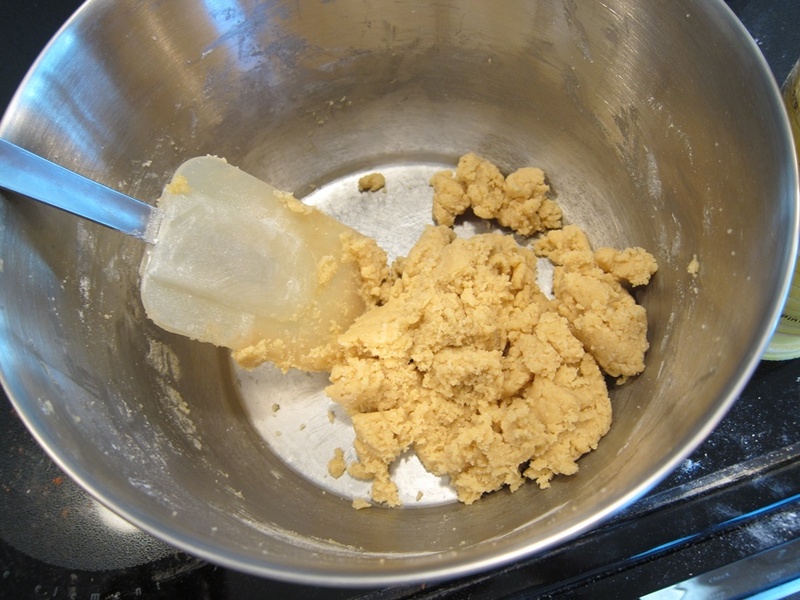 Using a spoon or spatula, stir in the dry mixture until just combined. Stir in the chocolate chips and divide into three portions. Shape into balls and flatten slightly on an ungreased baking sheet. 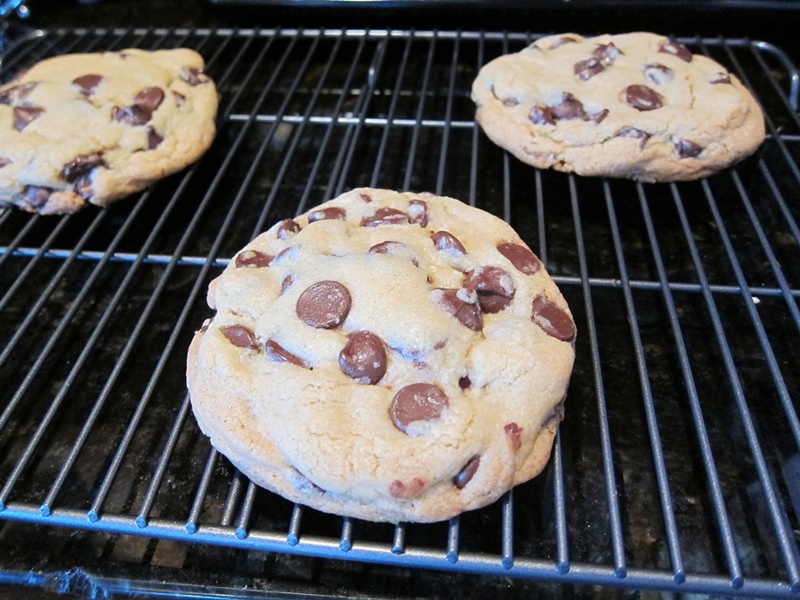 Bake for 8 minutes at 375 degrees, then lower the heat to 325 and bake another 5 to 8 minutes, until cookies appear set. 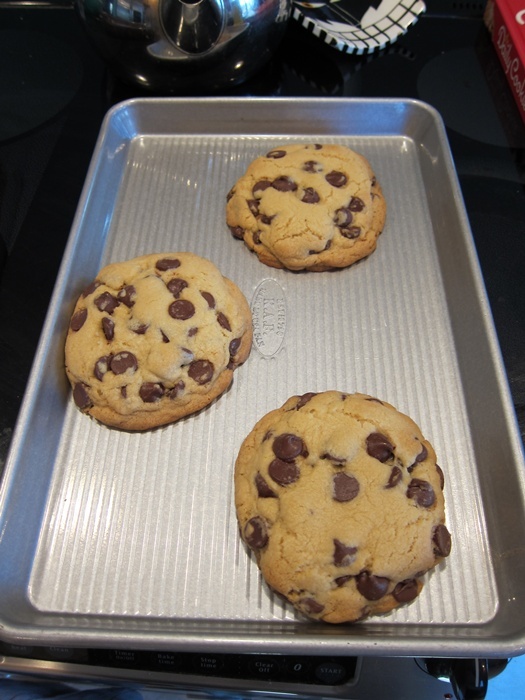 Let cool on the baking sheet 5 minutes, then use a spatula to transfer them to a wire rack to cool completely. 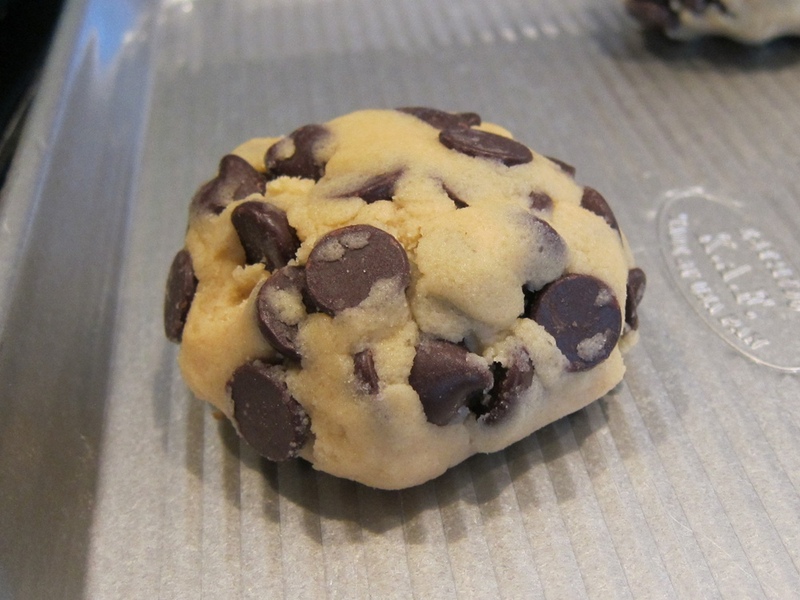 This entry was posted in Dessert and tagged chocolate chip cookies, The Daily Cookie. Bookmark the permalink. Hi Corinne! Thanks for this recipe. Single serving cookies is exactly what I’ve needed. Quick question, though: the flour is 3/4 CUP + 1 tsp, right? THANKS! Oh, geeze, yeah, that would make some awful tiny cookies. 3/4 cup plus a teaspoon. Sorry about that/thanks for the catch. Enjoy the cookies!